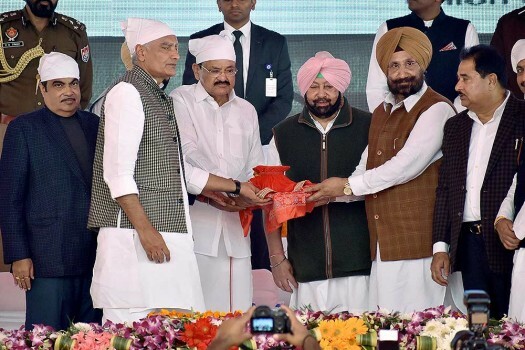 Punjab Chief Minister Capt Amarinder Singh addresses during the foundation stone laying ceremony for Gurdwara Kartarpur Sahib Corridor, at Dera Baba Nanak, in Gurdaspur. 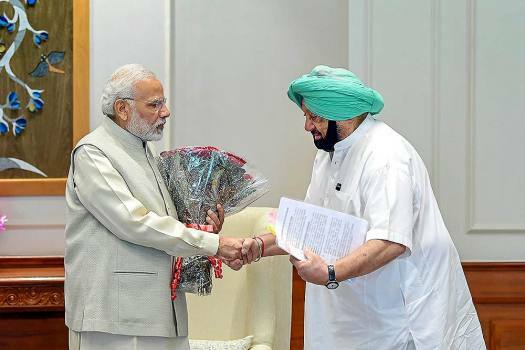 Punjab Chief Minister Captain Amrinder Singh meets Prime Minister Narendra Modi in New Delhi. 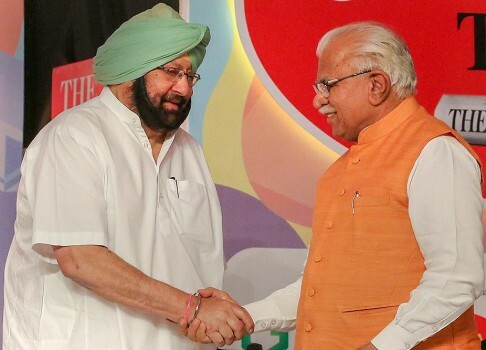 Punjab Chief Minister Captain Amarinder Singh greets Haryana Chief Minister Manohar Lal Khattar at a function, in Chandigarh. 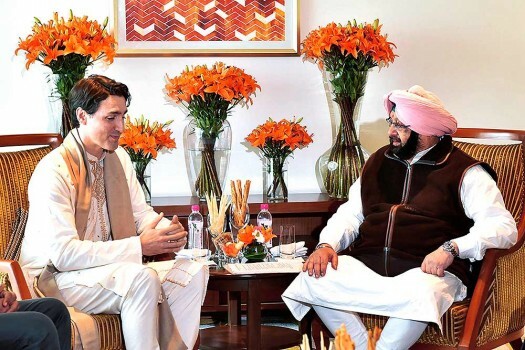 Canadian Prime Minister Justin Trudeau meets with Punjab Chief Minister Amarinder Singh in Amritsar. 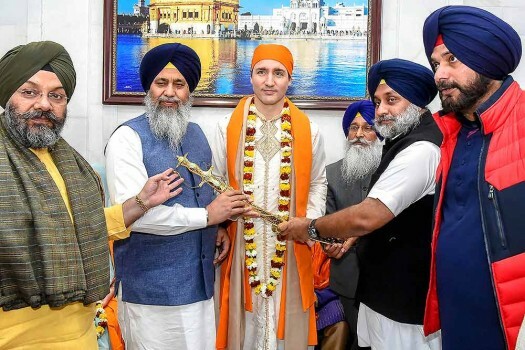 Canadian Prime Minister Justin Trudeau receives a memento from Shiromani Gurdwara Parbandhak Committee (SGPC) in Amritsar. 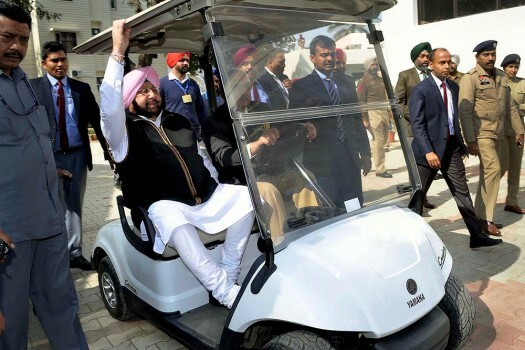 Punjab Chief Minister Amarinder Singh takes a ride during the Platinum Jubilee of Yadavindra Public School in Patiala. 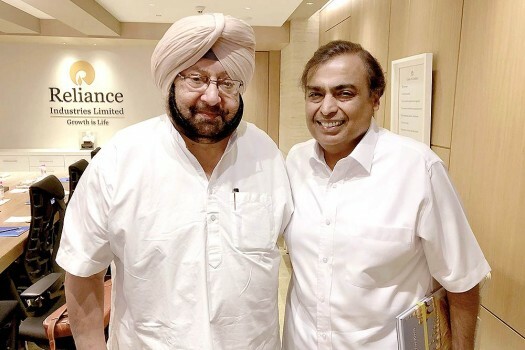 Punjab Chief Minister Capt Amarinder Singh calls on Reliance Industries Limited (RIL) Chairman Mukesh Ambani in Mumbai. Chief Minister Punjab Captain Amrinder Singh with Cabinet minister Navjot Singh Siddhu adressing a press Conference in Jalandhar. 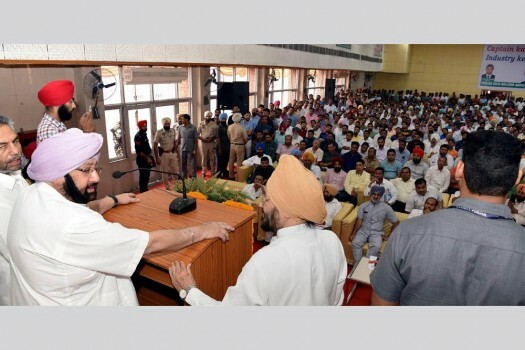 Punjab Chief Minister Capt Amarinder Singh while addressing a meeting of rice miller in Chandigarh. 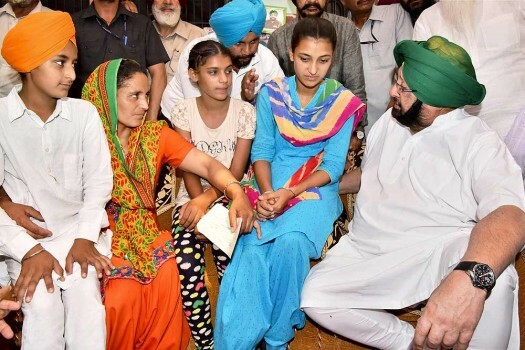 Punjab chief minister Captain Amarinder Singh interacting with the media during his day long visit in Malwa Punjab. 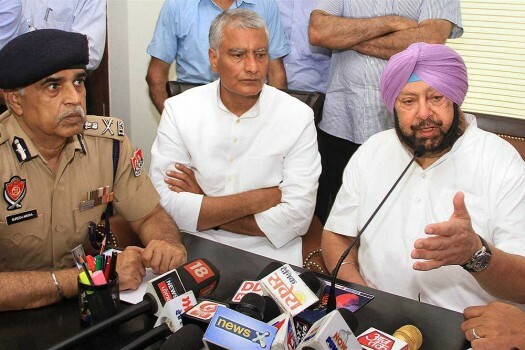 Punjab Chief Minister Captain Amarinder Singh during a press conference in Chandigarh. 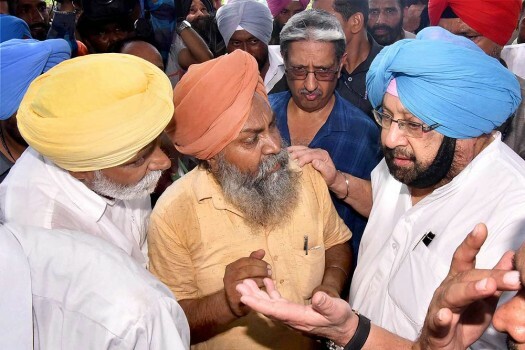 Punjab Chief Minister Captain Amarinder Singh interacting with farmers after taking stock of the whitefly attack on cotton crop at village Sahnewali in Mansa district of Punjab. 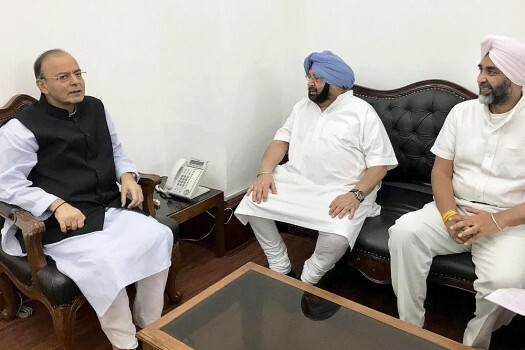 Punjab Chief Minister Captain Amarinder Singh meeting Union Finance Minister Arun Jaitley in New Delhi. Punjab Finance Minister Manpreet Singh Badal is also seen in the picture. 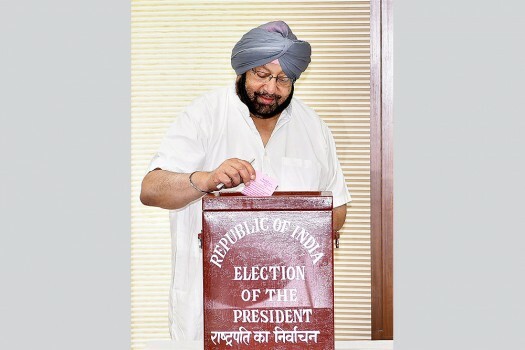 Punjab Chief Minister Captain Amarinder Singh casts his vote during Presidential elections at Punjab Vidhan Sabha in Chandigarh. 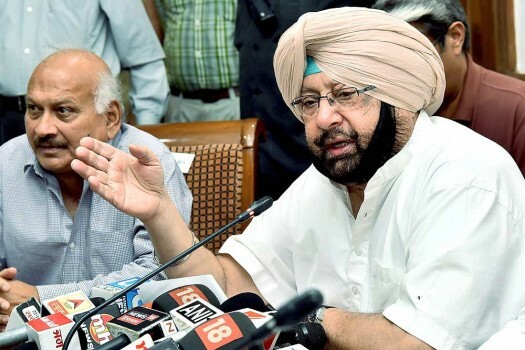 Punjab Chief Minister Amarinder Singh Saturday said with only 13 Lok Sabha seats in the state, it was impossible to accommodate all 177 aspirants. 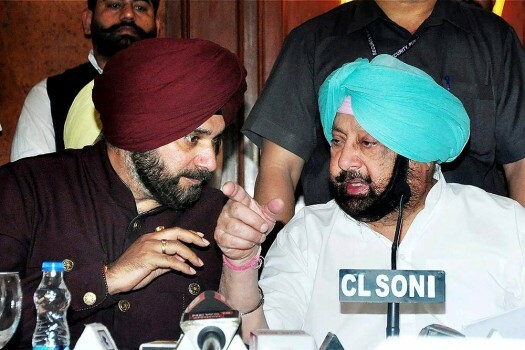 Sidhu, had been the MP from Amritsar for three consecutive terms prior to 2014 when he was a member of the BJP. 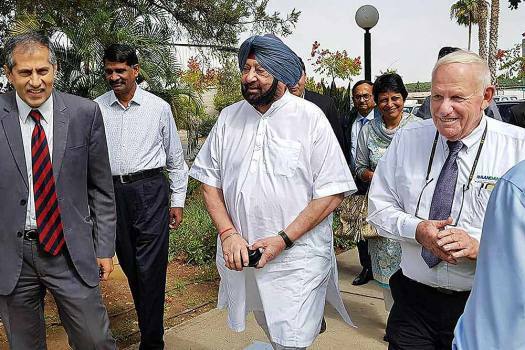 Chiding Pakistan Prime Minister Imran Khan over his comments demanding proof of Pakistan's role in the Pulwama attack, Punjab Chief Minister Amarinder Singh on Tuesday asked if the bodies of the terrorists killed by security forces should be sent to him for proof. Those arrested are Youth Akali Dal activists Meetpal Dugri and Gurdeep Singh Gosha. The SAD on Wednesday strongly opposed their arrest. The chief minister has asked the police to take action in the matter and identify the perpetrators. 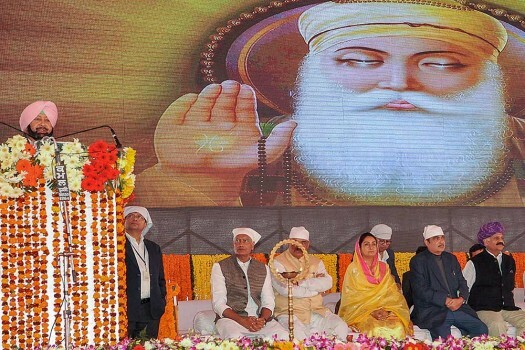 The assembly also urged the Centre to complete the work for opening the corridor before the 550th birth anniversary of Guru Nanak Dev in November 2019. 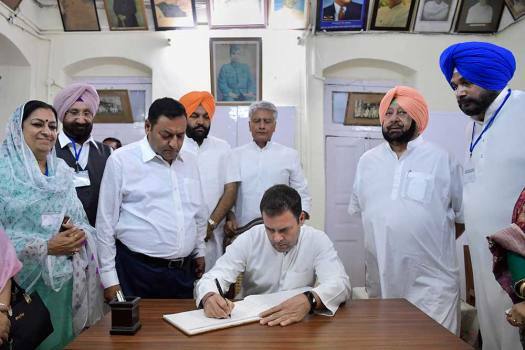 Hours before the inauguration ceremony, Punjab minister Sukhjinder Singh Randhawa had pasted black tape on his, chief minister Amarinder Singh and other Punjab ministers' names engraved on the foundation stone. The foundation stone laying ceremony will be performed in the Mann village of Gurdaspur district in Punjab. The accident took place in Choura Bazar near Joda Phatak area of Amritsar where a large number of people were watching the Ravana effigy in flames while standing along the railway tracks when a Jalandhar to Amritsar train crushed them. The BJP also launched a scathing attack on the Congress over the issue, on Saturday the party's national spokesperson Sambit Patra said that his visit was "no less than a crime". 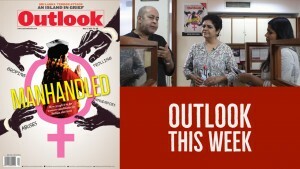 Talking to Outlook, Punjab CM Captain Amarinder Singh explains the role of 'foreign hand' in reviving Khalistani extremism in the state.